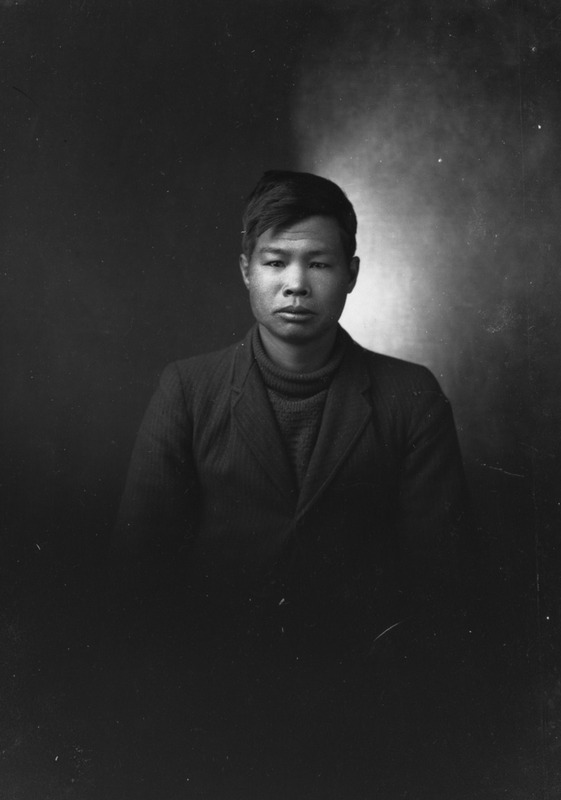 The person identified in this photo is Mah Wing Wee at approximately age 20. Mah Wing Wee worked with the railroad gang in Bevan, Comox Valley B.C. and commuted to Cumberland B.C. on the weekends and holidays. Date: ca. Pre 1929.